I made this I Love You card for nobody special. I like to have cards on hand. Add punched pattern papers and ribbon. Stamp on tag. Add ribbon. 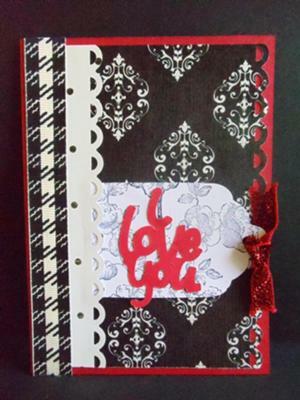 Add tag and "I Love You" sentiment to card.